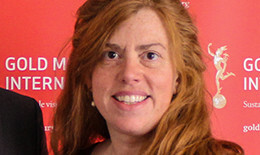 Dr. Stephanie Anderson, Associate Professor of Political Science, and specialist in International Relations and the European Union at the University of Wyoming, is an International Advisory Board member and a BRAND EU programme Ambassador. Her research focus is on the European Union (EU) as an international actor, and on international relations, and security issues. In 2011-12, Prof Anderson was a senior fellow at the KFG – Transformative Power of Europe at the Free University of Berlin researching EU security policy, identity-formation, and crisis management as well as the scholar-in-residence at the EU Centre in Singapore. In 2008, she published the book Crafting the EU Security Policy: In the Pursuit of European Identity (Boulder, CO: Lynne Rienner, 2008). Her book is based on research she did while a Senior Fulbright Research Scholar at the German Institute for International and Security Affairs (SWP). Her second book is co-authored with Rob Godby, The Economics and Politics of the Eurozone Crisis (Budrich, 2015). She has also published in several journals and edited volumes including Armed Forces and Society, The SAGE Handbook of European Foreign Affairs, and European Foreign Affairs Review. Dr. Stephanie Anderson holds a Ph.D. from the University of Cambridge, an M.Sc. in International relations from the London School of Economics, and a B.S.F.S. from Georgetown University. In addition, she holds certificates from the University of Strasbourg III and from the Institute of European Studies at the Free University of Brussels.